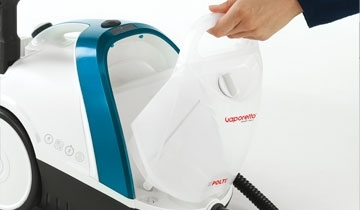 Vaporetto Smart 100_B is a steam cleaner with unlimited water refill for all your daily cleaning tasks. Ready in only 2 minutes, it has a removable tank for continuous water refilling, and thanks to its compact dimensions is the perfect companion for your cleaning activities. With its Vaporforce brush it can reach all the most difficult spots for deep, fast and effective cleaning. 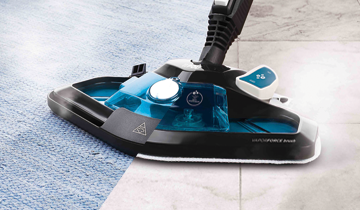 The various accessories included make Vaporetto Smart 100_B unbeatable in removing even the most persistent dirt: caked stains, limescale, joints between tiles and glasses will no longer be a problem. Choose the accessory that best suits your cleaning needs. 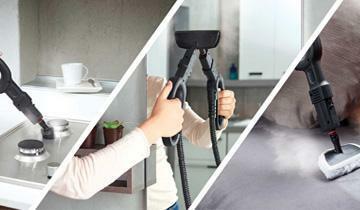 Steam is the most effective and natural solution to clean and sanitize your house: clinical tests prove that Vaporetto SMART_100 B kills and removes 99,99% *of germs and bacteria* that commonly live in houses. *Tests run in a third party laboratory prove that Vaporetto Polti kills and remove 99,99% of most common germs, bacteria and virus. Thanks to the stainless steel boiler the Vaporetto SMART 100_B is ready for use in less than 2 minutes. 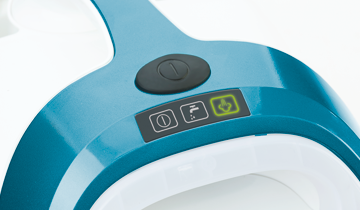 The "steam ready" light will indicate when the appliance is ready to use. Thanks to the practical autorefill system with removable tank you can refill Vaporetto with water at any time, without having to wait for the appliance to cool down. For unlimited cleaning. Steam heat kills mites and allergens in a very effective way; so people who suffer from allergies can have a healthier house. 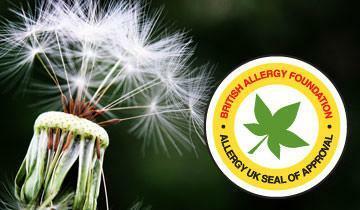 The product has been approved by the British Allergy Foundation and has obtained the prestigious BAF seal. The cap is situated in the lower part of the device, guaranteeing fast access to the boiler for cleaning the device. In this way we guarantee a long product life, also preventing the formation of limescale. 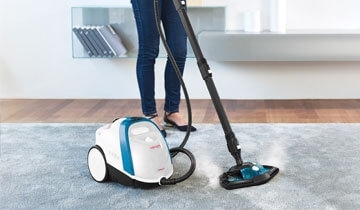 Vaporetto Smart 100_B is provided with a specific frame to easily slide on rugs and carpets, this allows you to clean all those surfaces with steam, killing dust, eliminating bad smells and collecting the dirt. 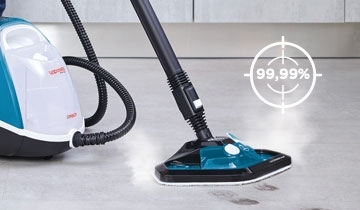 Vaporetto Smart 100_B cleans all kinds of floors with little effort: thanks to the steam regulation it can sanitize the most delicate surfaces like wood floors, but also the most resistant ones such as marble and stoneware, with great results also on carpets and rugs. 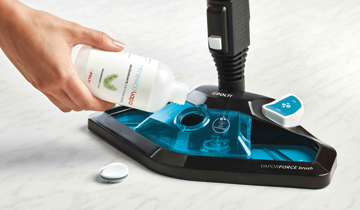 The Vaporforce brush is equipped with a scent dispenser; when utilized in combination with steam power it sanitizes the surface leaving a fresh scent in the room. It is compatible with Frescovapor deodorant. This brush with a wide cleaning surface can clean faster and thanks to the polygonal shape can reach every corner. The holes distributed across the surface ensure a thoroughly deep clean. This frame used in combination with the floor brush allows the cleaning of carpets and rugs. The microfiber cloth picks up and removes easily the dirt melted by the steam. It can be attached and removed with just a foot, thanks to the flap. The brush is ideal to remove the caked dirt from very narrow surfaces like burners, roller shutters, spaces between tiles, etc. It is also ideal on delicate surfaces. Ideal to remove caked dirt, the brush combines the abrasive power of the bristles with the power of steam for a deeper cleaning. It is also ideal on delicate surfaces. Special accessory to clean tile grouting and tiles. The shape and position of the bristles adds abrasive action to the power of steam for excellent results in just a little time. Perfect for removing stubborn stains, even grease, from cookers, pans and hobs.